Photography by Louise Studios Ltd opened it’s doors on St Andrew Street, Hertford in 2002 and has a proven track record of delivering portraiture of the highest quality over the past fifteen years. Louise has been immersed in photography her whole life due to being the proud daughter of wedding and portrait photographers Peter and Pam Dyer. She realised her passion for the art at 14 years of age developing prints in the darkroom at her family home. She then moved on to an apprenticeship with Paul Kaye Studios of London where she was classically trained as a portrait photographer. 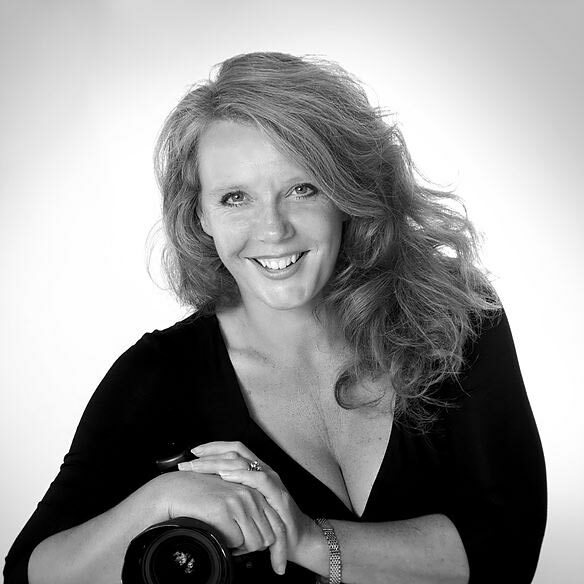 In 1991 Louise began her first sole trading company, Photo’g Studios. She has since earned an Associateship with the British Institute of Professional Photographers and joined the Professional Photographers of America. Louise believes portraiture is about creating stunning images that capture a moment in time, so that over the years clients are able to build a collection of images that tell the story of their lives. When she was 14 years old Louise was given some advice by a family friend who was unhappy in his job. “Promise me you will do a job you love,” he said. And she did. It was then that Louise, decided to follow in her parents’ footsteps and pursue her passion for photography. Three decades later she happily recalls that advice as the best she was ever given. “It was the catalyst that started me on this journey, and I am fortunate to be able to say I truly love what I do.” That passion shines through in all of Louise’s work. From capturing a baby’s first smile to documenting families as they change and grow, Louise’s passion for her craft translates into photographs that tell the stories of peoples’ lives. Louise’s enthusiasm for her work extends well beyond the studio walls. She sets aside time each year to travel, photographing other cultures and pursuing her other passion in life – motorbiking. At Photography by Louise we take pride in building strong, long-term relationships with our clients and often photograph families for generations. We help celebrate their lives by capturing the beauty of the happy moments. Over the years our Studio’s founder, Louise, has also captured some of life’s more difficult moments through her volunteer work with the charity Remember my Baby that helps families who lose a child at birth. Louise realised her photographic skills could be used to give grieving families some comfort in such horrid times. Often a moment captured in time can provide solace for years to come. It is in this way that we as a studio use the power of photography to give back to our community. Photographing the terminally ill with their loved ones – be it children, parents or grandparents – helps to capture their love in order to hold it precious forever. We are happy to help support local charities. If Louise & Her Husband Paul are not looking after their two lovely grandsons then they are motor biking in some form or another. be it trail-riding around the uk, in the Jungles of Cambodia or on old Royal Enfield bullets in Northern india.., combined with a bit of camping and fly-fishing and that would be their perfect trip.. Some think it a bit odd, but they love it ! In May 2017 Louise (know as Peta-Louise in the biking world) took part in The BMW Motorrad GS Trophy, and qualified to be one of the two women to represent England, against another 32 women from around the world, in the International women’s qualifier in South Africa at the end of 2017. She will be competing for one of three places in the GS Trophy challenge which will take place in Mongolia in 2018! So this Summer & Autumn see’s Louise about two days a week taking part in full on enduro bike training in Wales.